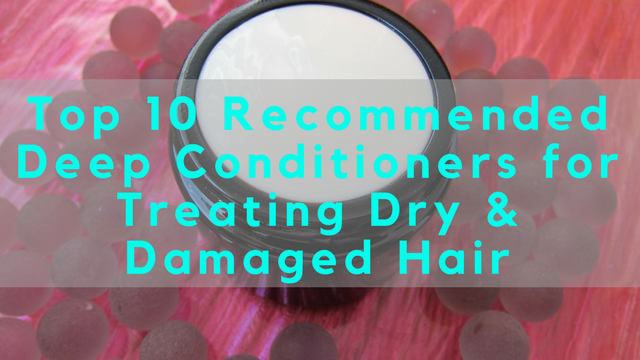 This list was difficult to put together because there are so many excellent deep conditioners for treating dry and damaged hair out there. One brand alone can have up to 4 deep conditioners within their line. I eventually narrowed down the list to the most recommended with the best reviews. This also includes a few of my favourites. Any brand that has more than 1 recommendation will be mentioned in the same paragraph. Deep conditioning is vital to healthy and supple hair. It’s one of the most important steps in a hair care regimen. Skip it a few times and your hair will start to react with dryness and dullness. When this is left unattended, it leads to long-term damage. Look for a deep conditioner with all natural and/or organic ingredients or as close to natural/organic as possible. There are certain kinds of key ingredients that contribute significantly to helping dry/damaged hair recover such as water (aqua), hydrolyzed keratin, proteins like oat protein, silk protein, soy protein and wheat protein, amino acids, natural oils, butter, panthenol and natural herbs. 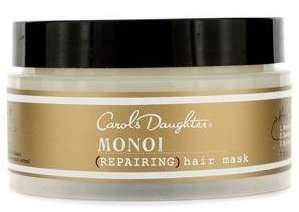 Be wary of deep conditioners that contain cones, sulphates, mineral oil, petrolatum, parabens and drying alcohols. There are some exceptions if the ingredient is low on the ingredient list, which means only a small amount is in the product. Either way, focus on how your hair reacts to it. In all cases, an excellent deep conditioner should provide moisture, shine, elasticity, strength, shine, slip, softness, and smoothness. Sometimes you might need a moisturizing deep conditioner more than you need a strengthening deep conditioner and sometimes, you might need both. 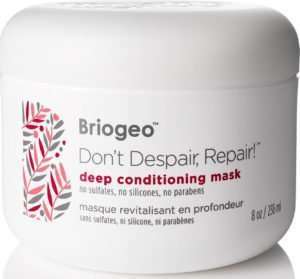 If your hair is just dry and dull, stick to moisturizing deep conditioners but if it’s also damaged and breaking, then you need a strengthening deep conditioner as well. 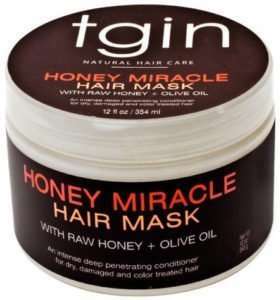 The key ingredients in this hair mask that makes it so good for dry and damaged hair are raw honey, olive oil, jojoba oil and aloe vera juice. These ingredients soften and moisturize hair as well as promote healthy pH balance. Monoi oil is derived from pressed coconut oil infused with flowers of the Tiare, an exotic gardenia. This enhanced oil is the key ingredient in this restorative mask along with bamboo water, hydrolyzed protein, glycerin and shea butter. A deep conditioner that starts to work on your hair within minutes. Containing rosehip oil, almond oil, argan oil, avocado oil, algae extract, B vitamins and much more, this Briogeo conditioner does exactly what it says. 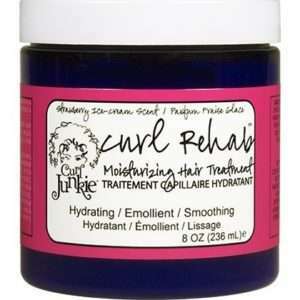 This was one of my best conditioners in my project junkie days. An intensive deep conditioning treatment that breathes life into even the driest of curls and comes at a very economical price too. Aloe vera juice and jojoba oil are among the ingredients that make this deep conditioner a favorite for naturalistas. Works as a daily conditioner as well as a deep conditioner. This is one of the best deep conditioners on this list. It contains everything for moisture and strength – aloe vera juice, shea butter, horsetail, nettle, yucca, peppermint, rose hip oil and jojoba oil. Rejuvenates and remoisturises. The perfect combination of coconut oil and shea butter for dry and dull hair, it penetrates the hair shaft to provide intense moisturization. 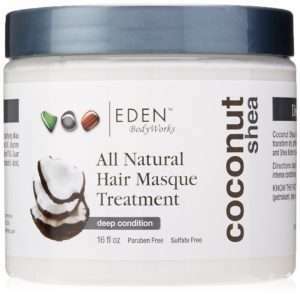 Tip – use the Coconut Shea Cleansing Cowash followed by this hair masque to experience hair bliss. Another conditioner in this family that works just as well is EDEN bodyworks Jojoba Monoi Deep Conditioner. 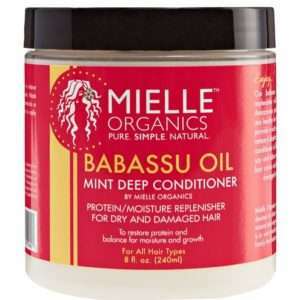 Another personal favorite, this deep conditioner provides intense moisturization for dry hair. It’s one of my recommendations in the max hydration method. It contains shea butter, avocado oil, cocoa butter, aloe vera juice, horsetail, peppermint, and many other natural plant extracts. Waters of tropical coconut among other ingredients such as safflower oil, palm kernel oil, aloe vera juice, tiare flower, sunflower oil, almond oil and horsetail gives this deep conditioner its penetrating and strengthening qualities. 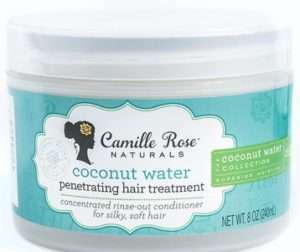 Another deep conditioner that works just as well in this family is Camille Rose Naturals Algae Deep Conditioner. Babassu oil is coconut oil’s awesome cousin. As a key ingredient in this deep conditioner, it transforms dry and damaged hair while providing a tingly treatment for the scalp. Furthermore, a little goes a long way meaning the standard jar can last for a while. The sea kelp detoxifies the scalp and follicles while argan oil restores shine and rebuilds hair elasticity. 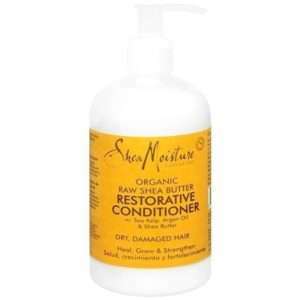 A lot of the shea moisture line is excellent but this particular deep conditioner stands out from the pack. This isn’t an exhaustive list and if there wasn’t a limit, this list could easily go up to over 30 deep conditioner recommendations because there are so many out there. I may make an additional top 10 list in future. 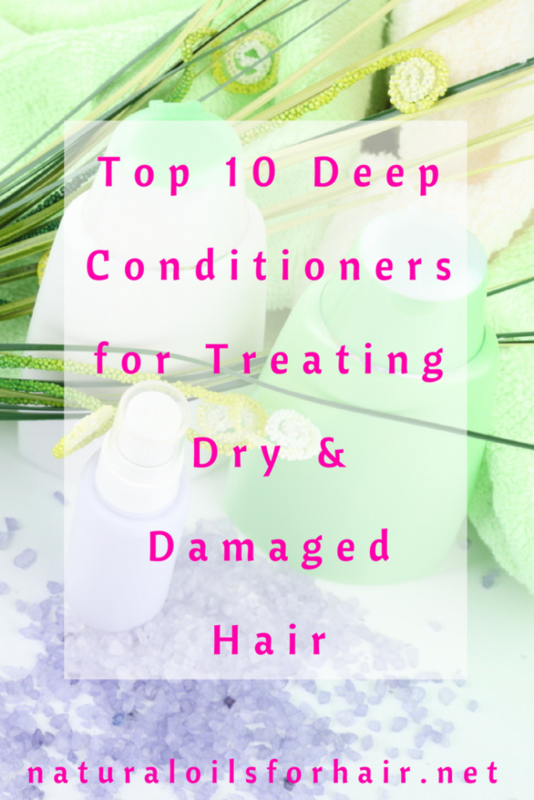 If there’s a deep conditioner you think should be on this list or the next, let me know in the comments section. Cantu leave-in conditioning cream has everything you need and leaves out the things you don’t. It also is affordable and you can find it at any Walmart. I’ve never tried the Cantu line but my sister uses it and she’s raved about it a bit. It’s on my to try list.